Following Atlantic 10 Conference wins over No. 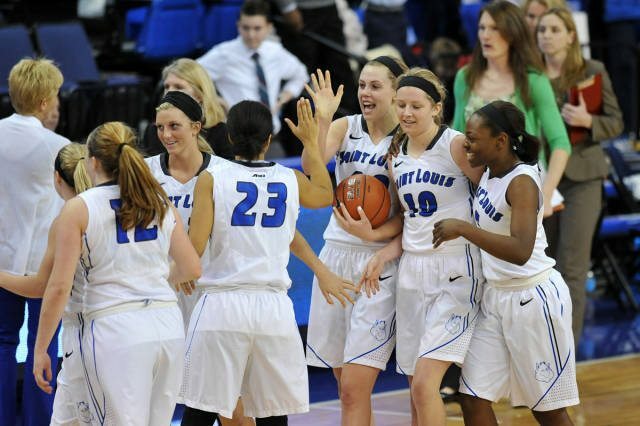 20/21 George Washington and Davidson last week, Saint Louis University has been named the NCAA women’s basketball Team of the Week. The Billikens, who improved to 13-12 overall and 6-6 in the A-10 with last week’s victories, have won five of their last seven games. SLU plays three of its final four regular-season games at home, beginning Wednesday, Feb. 18, against St. Bonaventure at 7 p.m.
Click here to read the story on NCAA.com.